Important: We have two campuses. The English Immersion Kindergarten & Elementary School are located on the Jiyugaoka Campus. The Bilingual IB Jr. & Sr. High Program is located at the Okanomiya Campus. You have two options for getting to our school from Narita Airport: Bus or Train. The Narita Express ticket to Shinagawa station. The Shinkansen ticket from Shinagawa to Mishima station. You can buy both these tickets at this counter. Cost for both tickets is approximately ￥7,000. After buying the tickets go down the escalator and follow the signs to the Narita Express train platform. Take the Narita Express train from the airport station to Shinagawa station. The trip is about 1 hour. After arriving at Shinagawa station you must change to the Shinkansen platform. (Before getting on the Shinkansen check to be sure it is a KODAMA Shinkansen. (Kodama trains stop at all stations. The other types of Shinkansen - Hikari & Nozomi - only stop at major stations. If you get on these trains by mistake you could end up at the other end of the country before you can get off - so be careful!) The trip from Shinagawa to Mishima is about 50 minutes (the 4th stop out of Shinagawa). Take a KODAMA Shinkansen train from Tokyo Station to Mishima station. The trip to Mishima is about 1 hour (the 5th stop out of Tokyo on the Kodama). From Mishima Station take a taxi to the school. If you are going to the kindergarten or elementary school is on the Jiyugaoka Campus) Tell the driver you want to go to "Katoh Gakuen no Yochien." You will be taken to the gate next to our kindergarten. Press the security gate button and give your name to unlock the gate.The kindergarten will be on your right. 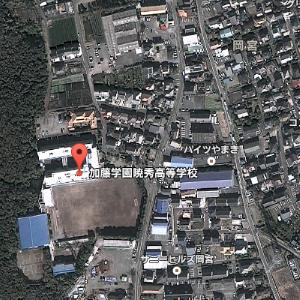 The elementary school is straight ahead, at the end of the short drive beyond the gate. 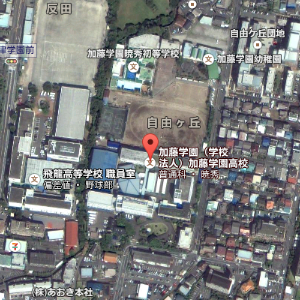 Gyoshu Junior / Senior High School is on a different campus. If you are going to Gyoshu ask the driver to take you to "Gyoshu Koko" (be sure you emphasize Gyoshu so that the driver doesn't confuse your designation with Katoh Gakuen Koko, one of our other high schools on a different campus).